RMT reveals huge public support for Merseyrail guards. PLANS TO axe Merseyrail guards and introduce driver-only operated trains have been given a massive thumbs-down by nearly 80 per cent of passengers surveyed by the Opinium polling agency. A poll commissioned by RMT, the guards’ union, reveals that some 78 per cent of weekly Merseyrail users would oppose moves to remove the network’s 200-plus on-board guards and introduce driver-only operation. Of those surveyed, 98 per cent currently felt safe travelling on the network – but more than two-thirds said they would feel less safe if guards were axed. The Opinium survey, released as unions launch a campaign to keep guards on new trains planned by Merseytravel, shows that a massive 82 per cent of weekly users would have concerns about the safety of travelling on driver-only trains. “This survey should tell Merseytravel loud and clear that Merseyrail passengers want to a properly trained guard on every train. 1. The press conference to launch the union public campaign against the threat to Merseyrail guards will be at 11am on the 12th January 2016 at the RMT North West Regional Office Temple Square, Temple Lane, Liverpool, L2 5BB. 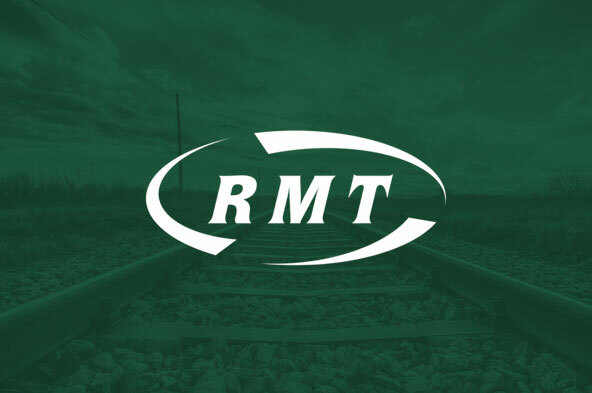 Both Mick Cash, RMT General Secretary, and John Tilley, RMT Regional Organiser, will be available for interview on the campaign and the opinion polling. Currently, almost all (98%) weekly users of MerseyRail trains feel safe whilst travelling on the service, however, if the proposal to remove guards from the service went ahead, two thirds (67%) said that they would feel less safe. A decrease in safety is particularly evident amongst those aged 55 and over (74%), however, more than half (56%) of younger users (18-34) also said they would feel less safe. 82% are concerned about the safety of travelling on trains that no longer had an on-board train guard and a similar percentage believe MerseyRail should not allow trains to operate without at least one member of staff assisting passengers and protecting their safety (80%). The majority of MerseyRail weekly users (78%) would oppose the plans to remove guards from the service so that it became a driver only operation. Slightly more women oppose the plans than men (83% vs 75%) as do older users (80% of those aged 55+ vs 71% of those aged 18-34). Three quarters (72%) would support ending privatisation and bringing train operating companies back into public ownership in the UK. Of these, 92% would support a campaign by local politicians to bring MerseyRail back into public ownership and operation.